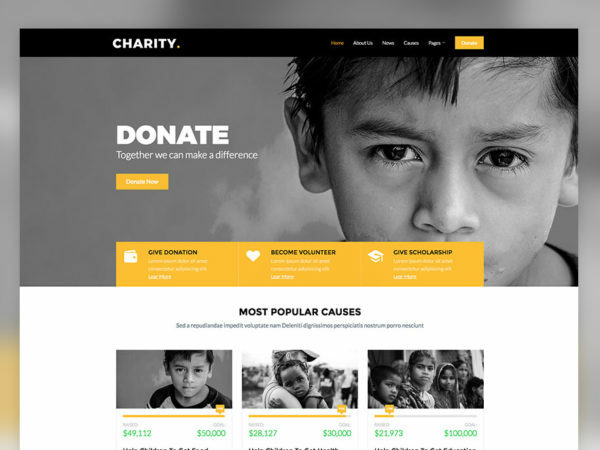 Take your valuable cause to a larger audience using our non-profit website templates. Our website templates will help you maintain transparency in all your non-profit programmes. With smart modern web elements clearly show how much you have accomplished and how much you need to reach the goal. Versatile characteristic of the website template let you even organize events. Make webpages for your event and gather like-minded helping people in one place to do greater good. Connect your payment services to the website and give the option to donate online. Though these are HTML templates, all the necessary front-end elements are pre-designed for you and are in proper working condition. Use the gallery section and video spaces to show how the funds had helped you to make a change and inspire new users to help you accomplish bigger goals.